Prime Inc. shares inside knowledge about how to skip the stress when it comes to revamping your office. Sep 13 2018 at 4:52 p.m. Photos courtesy of Randy HendersonGrooms Office Environments Co-owner Audrey Garard stands in Prime's newly remodeled office. When was the last time you really looked at your office? Chances are it’s been awhile, and the number of coffee stains have probably doubled. If you stop and look around, you’ll likely find more than enough evidence that it’s time to upgrade your space. But where do you start? Remodeling an office is not a small project. 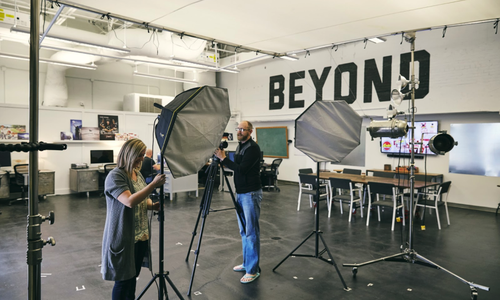 Done right, a new space can improve employee morale, increase efficiency and, of course, impact attraction and retention of employees. 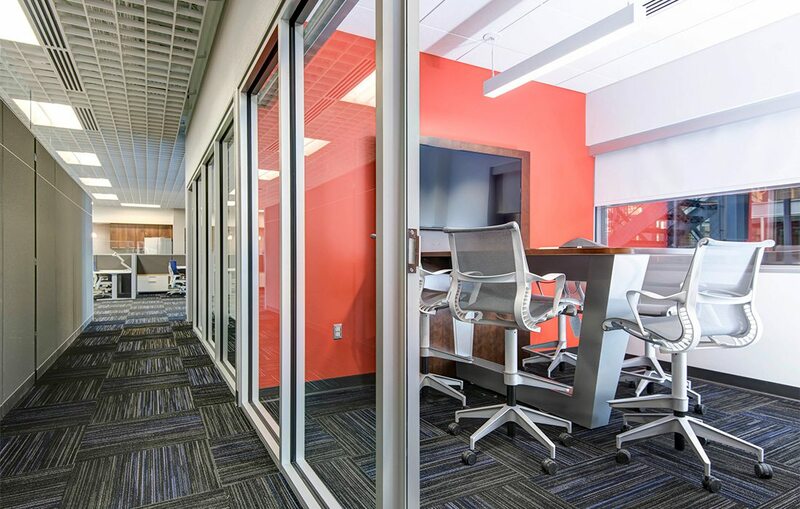 To get some insight on how to remodel an office while avoiding some of the pitfalls and headaches, we turned to Prime Inc. The freight company hauls goods across the country, and its Springfield headquarters is basically a mini city. There are on-site medical clinics, a hair salon, gyms, a daycare facility, sleeping quarters and even an in-house grocery store. 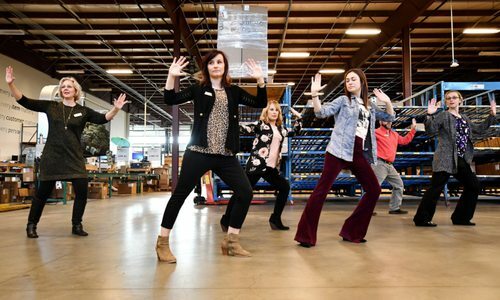 The long list of on-site amenities has grown to meet the needs of the company’s blossoming workforce, which also led Prime to take a look at its worn out offices. 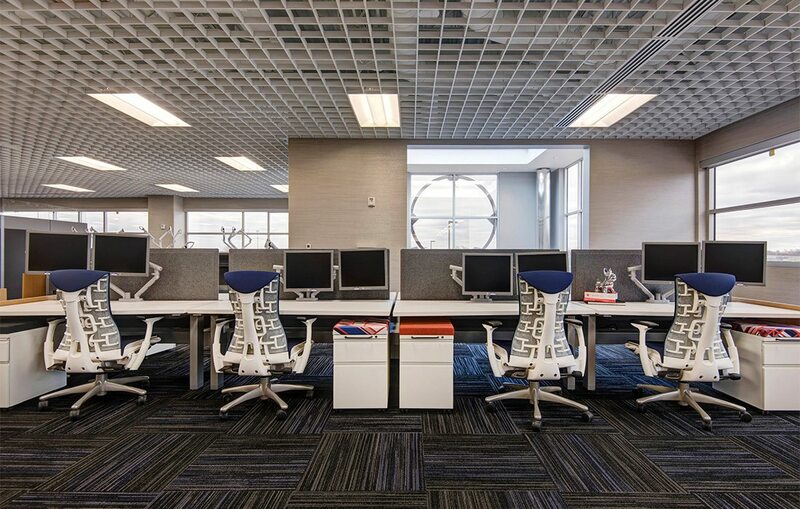 The company wrapped up its remodel in 2016 before adding an entirely new office building one year later in 2017. We rounded up 10 tips from Prime’s team members and those who helped with the redesign to learn what worked, what didn’t, and what to avoid when remodeling an office. 1. Start your redesign with questions. Brenda Van Eps is owner of Studio V Design and a registered Interior Designer with more than 20 years experience. She’s worked on Prime’s interior design projects for the last 10 years. Whether it’s a garage, machine shop or a managerial suite, Van Eps says all design projects start with what’s called the programming phase. “This is where you sit down with the client, before doing any design work, and discuss what their needs are for the space” she says. But you need to think beyond simple aesthetics, and consider how the office actually functions. How many people need to fit in the space? What kind of storage do you need? Are your employees part-time or full-time? Do they travel often? What does their daily work involve? 2. It’s not just the carpet that’s dirty. 3. Be honest about dirt. 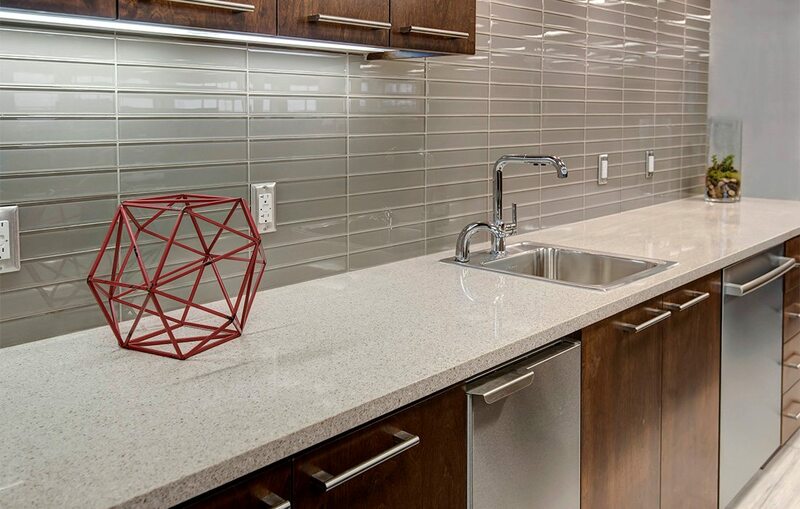 Your office puts up with a lot of wear and tear. Coffee stains are just the beginning. And, depending on what your job entails, your employees are probably tracking in a lot more than you realize. So before you shell out serious dough on your office remodel, it’s important to stop and take stock of how dirty your job really is. At Prime, Van Eps installed new dark carpeting to conceal any dirt or oil that might hitch a ride into the office on employee shoes. She also added floor-to-ceiling tile in the new bathrooms to ensure easy cleanup. 4. Your employees hate their office chairs. Your employees might not air their grievances with you, but if they have to sit for hours at a time in an uncomfortable chair, we promise someone is hearing about it. That’s why Prime decided to invest in its employees’ often overlooked but oh-so important office chairs. 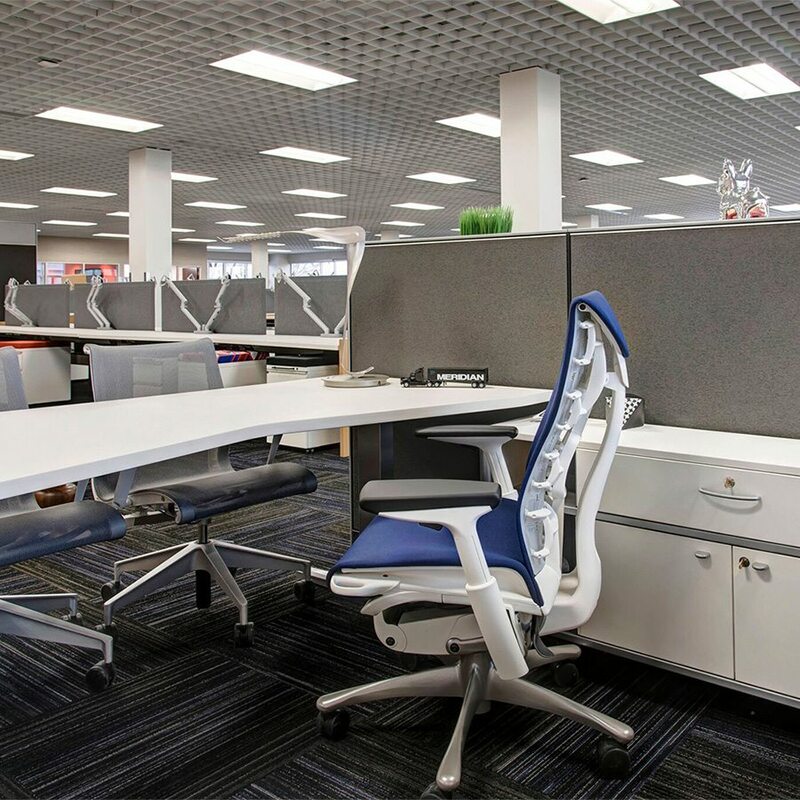 Every new chair is a Herman Miller Embody chair, which conforms to your body to distribute weight, reduce pressure and allow for postural equilibrium. The seat length also adjusts, so you can give your legs the room and support they need—an especially helpful adjustment for Prime crew members who share workspaces and might take over for someone much taller or shorter than them. 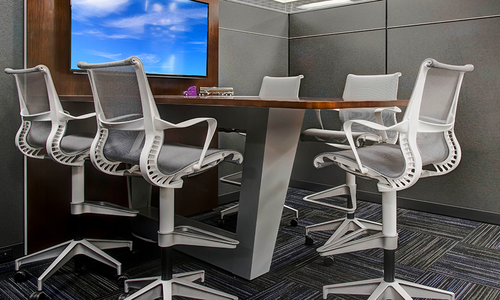 Photos courtesy of Randy Henderson Every new chair at Prime is a Herman Miller Embody chair, which conforms to your body to distribute weight, reduce pressure and allow for postural equilibrium. 5. Let’s be honest. You don’t need all that desk space. Family photos are great, but chances are, all that extra real estate is not making you any more productive at work. 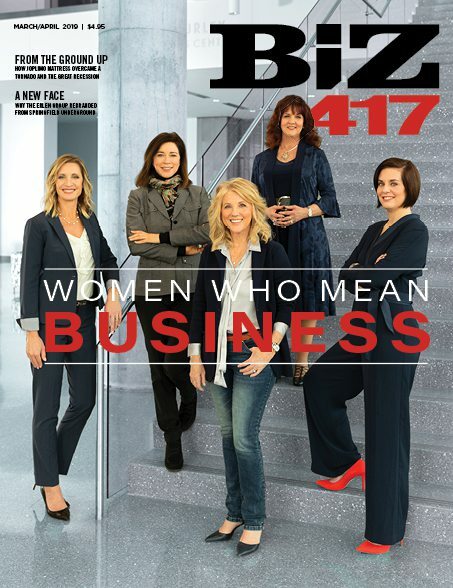 “Space is money,” says Audrey Garard, co-owner of Grooms Office Environments. 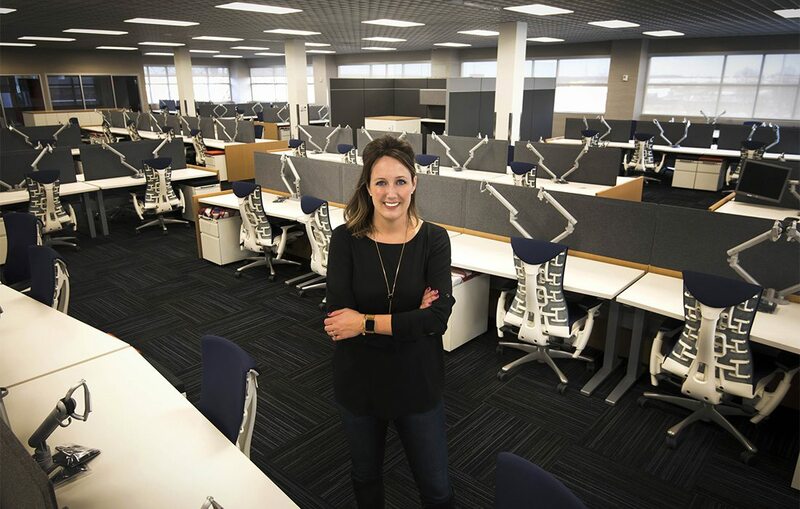 So when Prime remodeled its office, it needed to make room for a growing workforce, but before bringing in new desks and storage stations, the design team at Grooms needed to learn how Prime employees actually used their office space. “It’s important to know the role of each department,” Garard says. “For example, the dispatchers at Prime don’t keep a lot of stuff on their desks, but they do need two large computer monitors. Meanwhile, the accounting department needed a lot of work surface. Our goal is to go in and figure out the needs of each department and help make them more efficient. 6. Truly open offices aren’t for everyone. 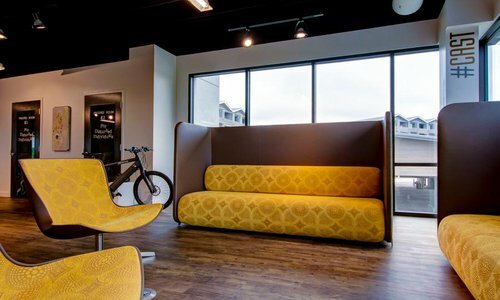 Open offices might be in vogue right now, but that doesn’t mean it’s the best fit for each company or department. In fact, Garard recommends avoiding an office with an entirely open floor plan. “It can be a scary term when you talk about open environments,” she says. “Marketing might work well in a more collaborative space, but HR is never going to work best in an open space. 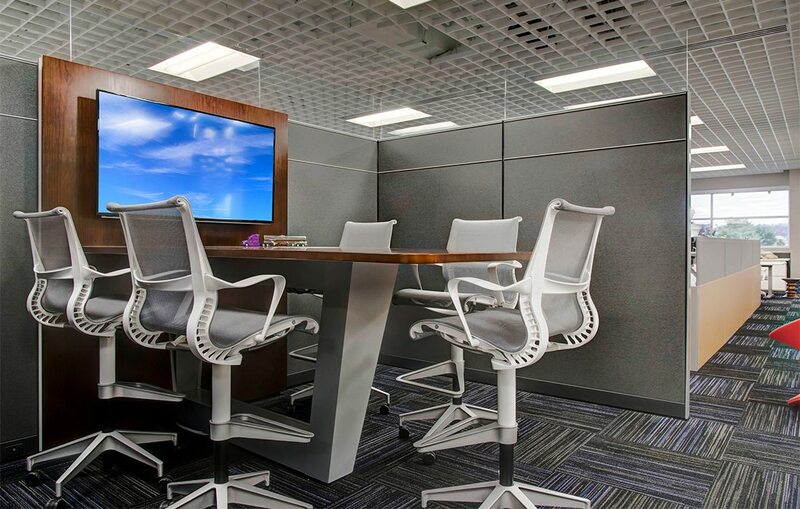 There are so many options for dividing work space and many times private offices will be required for privacy.” To provide a mix of office spaces that met each department’s needs, Van Eps designed different layouts with different desk pieces. This allowed each department to personalize their environment in a way that would be productive and efficient for those employees. Departments that got new open air settings needed space for collaboration and quick meetings that don’t require a traditional conference room. Photo courtesy of Randy HendersonCollaborative spaces allow people to chat, huddle or co-create in an informal setting. 8. Your employees need their breakroom. 9. Expand your remodel to include the outdoors. 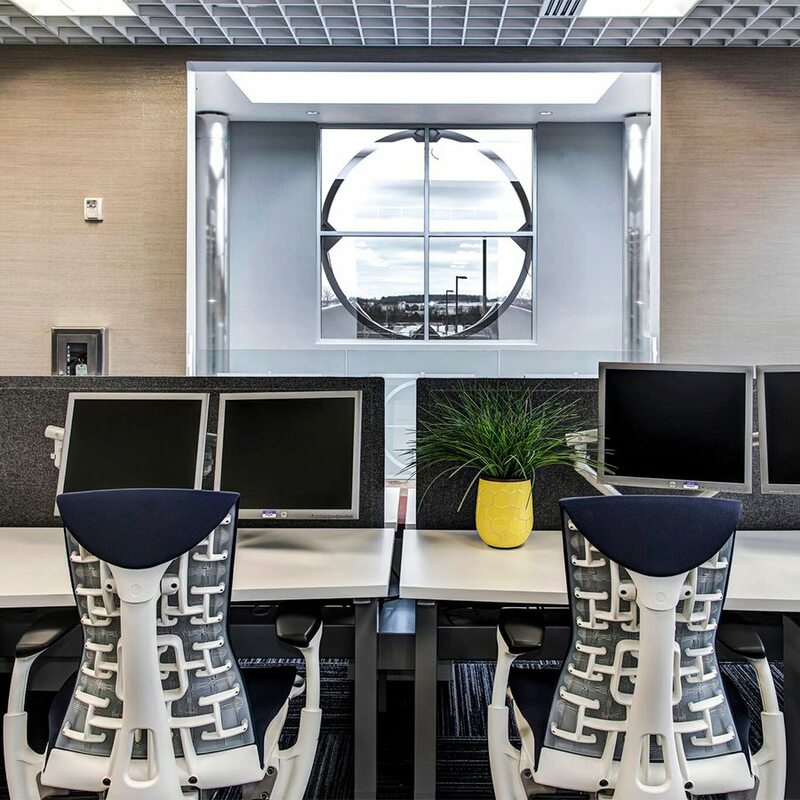 About Grooms Office Environments: For 40 years, Grooms Office Environment has provided commercial interior design services including space planning, project and move management, healthcare and systems furniture as a full-service Herman Miller dealership. 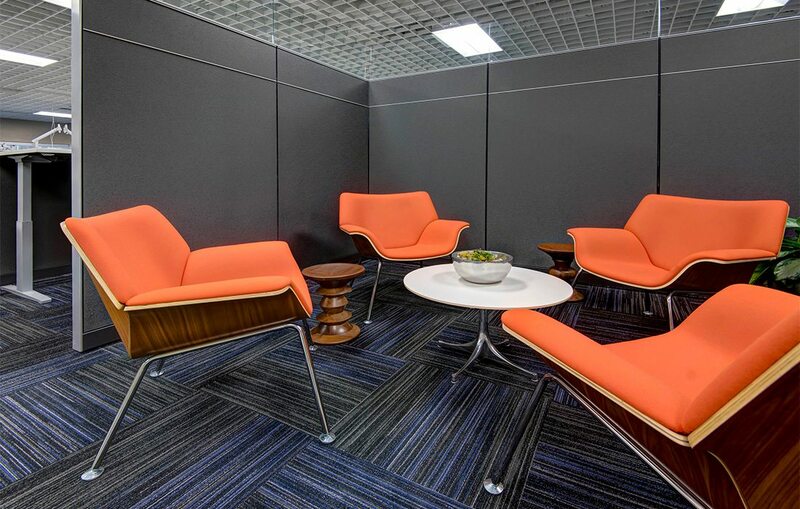 Whether you need to furnish a single office, a new building or even a single workout space, Grooms’ expertise can work for you. Grooms clients include Jack Henry, Prime Trucking, Bass Pro Shops and CoxHealth Network.